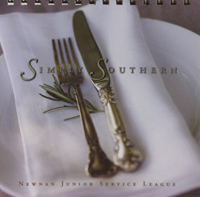 Since 1977, the Newnan Junior Service League has published three cookbooks. Our Award- Winning A Taste of Georgia, A Taste of Georgia: Another Serving, and Simply Southern. 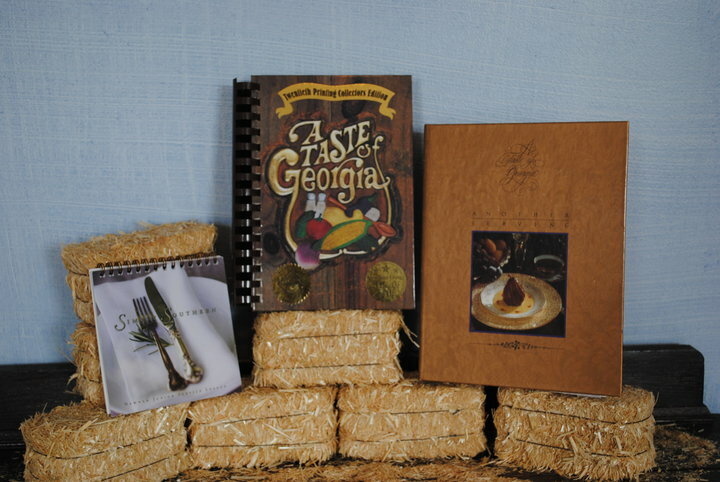 A Taste of Georgia is an exceptional collection of Southern Favorites compiled by the members of the Newnan Junior Service League. This book offers carefully tested, superior-rated recipes from the best Southern kitchens. In addition, valuable culinary hints, short-cuts and great ideas make quick meals even more spectacular. 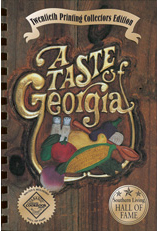 With over 250,000 copies in print, A Taste of Georgia has been recognized by the Walter S. McIlhenny Tabasco Hall of Fame and is a Southern Living Hall of Fame Member. The follow-up to our award-winning A Taste of Georgia, Another Serving offers more of those treasured Southern Favorites. We have added an excellent children’s section and easy reference pages for low-fat, microwave, and grilling recipes. Also included are the secrets behind some of the area’s favorite restaurant cuisine! Our most recent addition, Simply Southern is a collection of down home favorites with an international flair. Whether you are looking for elegant ideas for a bridal tea, something hearty for a tailgate, or recipes from some of our favorite local restaurants you will find all of these in this special little book. All three of the Newnan Junior Service League’s fabulous cookbooks! 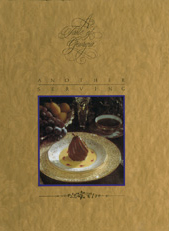 Proceeds from our cookbook sales support our College Scholarship Program.